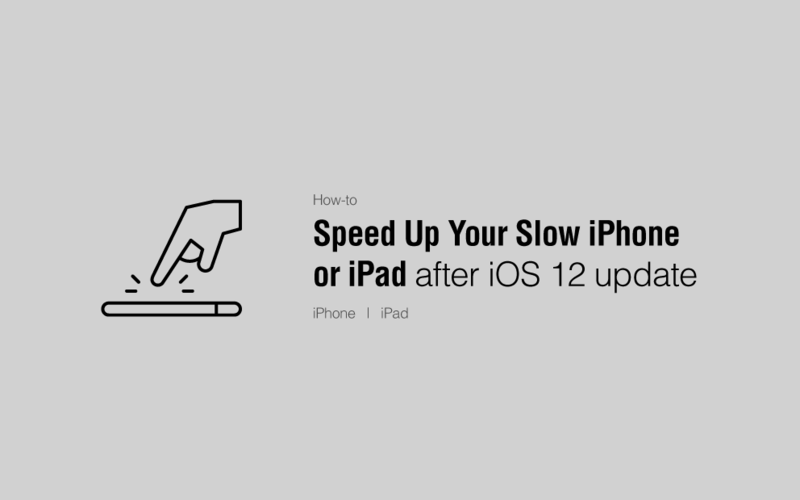 If you are the witness of slowness in your device after upgrading to iOS 12, then you are at the right place to learn and solve the slow iOS 12 problem. We will teach you some of the ways to speed up your iPhone or iPad running iOS 12. Majority of the users have made comment on the performance of the new iOS 12 and they seem pretty satisfied about it. In the new update, the camera app works way faster than the previous version and apps can launch way faster than before. Survey has proved that the new iOS 12 works much better on the older devices like iPhone 5s, iPhone 6, and iPad mini 2. But, there have been some cases reported against the performance of iOS. There might be an issue with some apps, it might be a bug that disturbs the performance or there might be an issue with the performance of the battery that slowing down your device. Let’s follow some of our tips in order to enhance the performance of your device. Open up Settings app on your device. 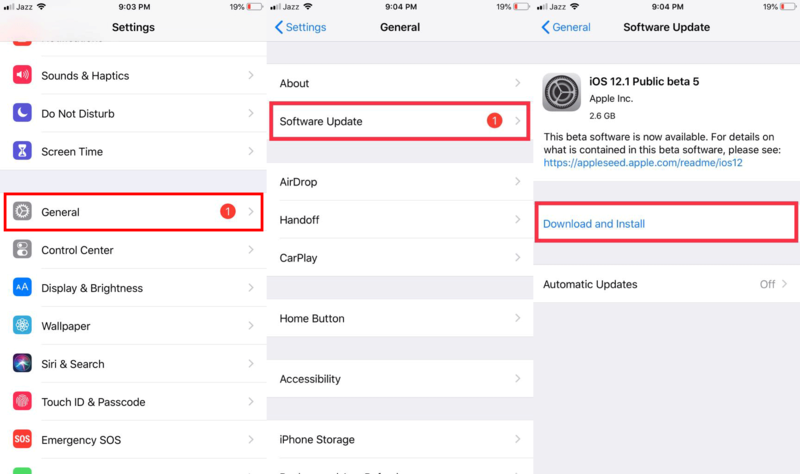 Tap on the Download and Install to update your current iOS to the latest version. Tip: Before updating iPhone or iPad make sure device battery have a good charge or directly connected to the power source. iOS 12 has truly amazing new animation and it can be a cause to some of the devices which are being slow by the new update. Let’s see if it is the case of the slowness of the device. Try to turn it off and see whether it makes any difference or not. Go to iPhone or iPad Settings. Find Reduce motion there and turn it on. This will automatically reduce the animation of the device. Usually, the battery doesn’t suffer from the new update of iOS. But sometimes battery can be damaged itself or can become unhealthy. If it is the case with the battery then your iPhone or iPad might not be getting proper voltage supply. It can slow down your device or maybe crash it repeatedly, to check the battery health. Tap on Battery Health to find the health of your battery. Tip: If the health of your battery is below than 80% and even showing 79% of health then your iPhone’s battery is degraded. You need to hurry to the replacement center to get your battery replaced. In some rare cases, the system of an iPhone doesn’t determine the battery health and battery health screen directs the user to get a replacement of the battery. Learn more in our dedicated guide to check the battery health and capacity of iPhone or iPad. Having not much space left on iPhone is also a problem which causes slowness of device. If your device is running out of space, it may start acting weirdly. In order to check the storage of your iPhone or iPad follows these steps. Tap on iPhone Storage to see how much space is left and used there. If there isn’t much space left, then you need to free up some space by deleting unused apps, you can delete large photos and videos because photos and videos are space grabber. Enable the Offload unused apps and this feature will delete those apps which you haven’t used in a while. Apple has tried a lot to make background app refresh as efficient as it can be but some of the apps on iPhone still catching a lot of power and resources. For example, Facebook is consuming your data and battery in the background to keep updating your about all the new notifications. If you have the concern with your data or with your battery life, you need to turn off your background app refresh. You can choose those apps which you don’t want to run in the background. Tap on Background App Refresh. Turn it off and it will become grayed-out. Tip: Turning this option may increase battery life. But don’t turn off background app refresh for apps like Facebook, WhatsApp, Skype, Instagram, etc. until you really want to do that. Disabling this option means you will no longer receive the new notifications except when you open the app and check it manually. If the methods which we have discussed above didn’t work for you at all, then the final option to get rid of the slowness of the device is to Reset the device. Before taking any step forward to reset the device, make sure you are having a backup of your data. Try to set up a new device so there wouldn’t be any issues like bugs or anything else. Scroll down to the bottom and tap on Reset. There you will find many options. Select the very first one Reset All Settings. Tap on it and your device will reset accordingly. Tip: Think twice before tapping on any option under Reset, because there might be no undo option after doing that. Learn more to erase everything and refresh iOS on your device.